Be the first to share your favorite memory, photo or story of Georgianna . This memorial page is dedicated for family, friends and future generations to celebrate the life of their loved one. 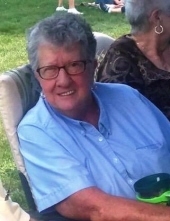 WINSTED – Georgianna Conklin, 82, passed away unexpectedly on Friday, November 16, 2018. She was the loving wife of the late Frederick G. Conklin, Jr., who passed away in 2015. Born March 3, 1936 in Hartford; the daughter of the late William and Marion (Waldron) Gillette. Georgianna was a well loved, sought after CNA taking excellent care of her private duty patients. She loved gardening and travelling most recently to Florida where she had the time of her life for several months with her best friend, Bun. Her children and grandchildren were everything to her and she will be deeply missed. She is survived by her three daughers, Elizabeth “Betsy” Joseph of Winsted, Jeannine Frink and husband Robert of Colebrook and Amanda Lejeune and husband David of New Hartford; grandchildren, Caren, Sarah, Andrew, Jamie and Ashley; great grandchildren, Grace, Carson, Gannon, Henry and Gabriel; best friends, Bun and Illsa and many more close friends. She was predeceased by a son, Charles Conklin. Friends may call on Sunday, November 25, 2018 at Montano-Shea Funeral Home, 922 Main Street, Winsted from 2 – 4 PM. Burial will be private. Memorial donations may be made in honor of her son-in-law, Bob Frink to: ALS CT Chapter, 4 Oxbow Road, Unit E4, Milford, CT 06460. Visit an online guestbook at montano-shea.com. To plant a tree in memory of Georgianna Conklin, please visit our Tribute Store. "Email Address" would like to share the life celebration of Georgianna Conklin. Click on the "link" to go to share a favorite memory or leave a condolence message for the family.